A weight loss product, Saffron Premium is a nutritional supplement – one among many rival saffron-based diet boosters that said to offer similar benefits. But this one, the maker says, is better than a good number of the others. What makes this supplement special? It is made from 100% pure saffron extract, according to its manufacturer. It is said to contain the proper quality and quantity of the key ingredient to help you lose weight. Does that mean you can trust this one to work? Find out in our Saffron Premium review below. What’s in Premium Certified Saffron Premium? This is a herbal dietary supplement featuring only a single key ingredient, which is 100% natural saffron extract. 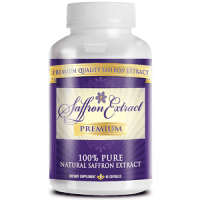 Each 200mg capsule of Saffron Premium contains the spice, standardized to 20%. The manufacturer says the pills do not contain fillers, binders or other ingredients and the main ingredient is contained in a vegetarian capsule. Saffron extract is said to be an effective appetite suppressant, which is why it is particularly helpful for weight loss. In a study cited by this supplement’s maker, this ingredient led to an 84% reduction in appetite in women who took it. How Do You Use Premium Certified Saffron Premium? Adults are to take two capsules of the supplement daily. The instructions are to take the pill before you eat. It is important to not use more than the suggested dose to avoid side effects. Pregnant or nursing women, as well as persons younger than 18 years, need to consult a doctor before use. You should do the same if you have existing medical conditions. You can buy Saffron Premium online from the official product website. A bottle containing a one-month supply (60 capsules) costs $49.95. This is a decent price for the quality this one appears to have. Yet, you can still get a better deal by buying more than a bottle. You can purchase a three-bottle package for $29.90 per bottle or a six-bottle set for $22.90 each. Sometimes, you can judge whether a product can be trusted based on the money back guarantee that comes with it. Saffron Premium does look like a reliable product from this viewpoint. Its manufacturer is confident in its efficacy and allows you up to 90 days for a refund when you return both opened and unopened bottles. This allows sufficient time for you to test it and receive your money back of you feel it doesn’t work. 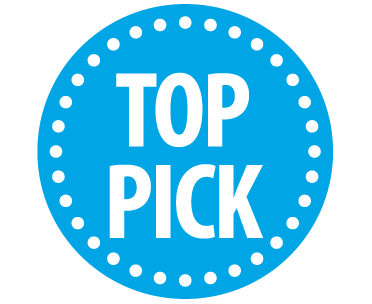 Customer reviews of the supplement are mostly positive, based on the research done for this review. 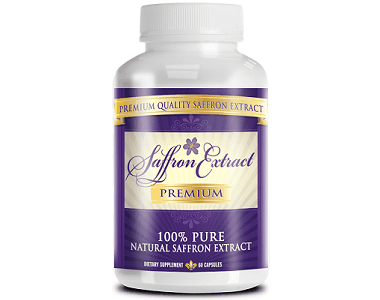 Saffron Premium has many of the important attributes needed in a supplement of its kind. You should expect good value from buying it. This probably explains why it has “Premium” in its name.